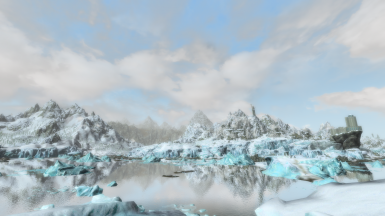 Vivid Weathers is the ultimate weathermod for skyrim. 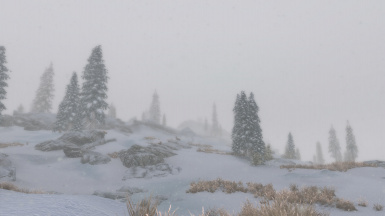 It combines features of COT, ESS,SS, Vivid Snow, Vivid Clouds and Fogs, Real Skyrim Snowflakes and much much more into one mod. 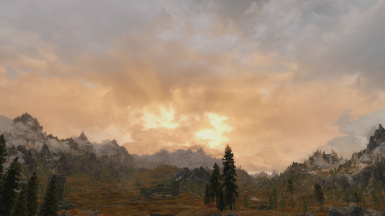 It overhauls the colors and weathers with the aim to have stunning effects even without a ENB. 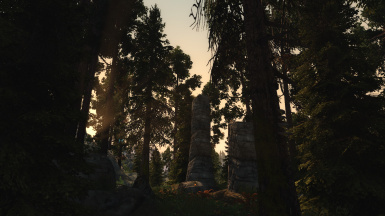 LordierClaw ENB for Vivid Weathers The ENB preset was tweaked to work best with this weather mod. 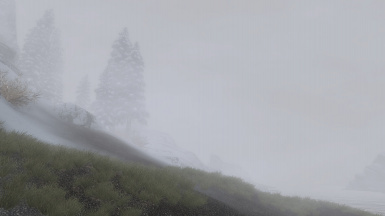 the extended Rain and snow effects where broken (thanks to CK) so those are fixed now. - Added a special Cloudmesh that draws horizont clouds further down so that ugly gap between clouds and horizon will get reduced. 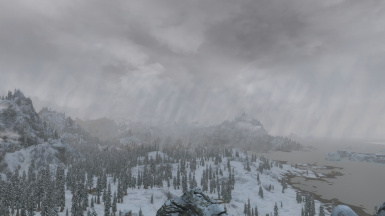 - removed the vanilla rain esp and reverted the extra effects behaviour, now you have two more .esp files to add extra rain and snow effects (real skyrim snowflakes), otherwise snow and rain will be using vanilla particle systems. 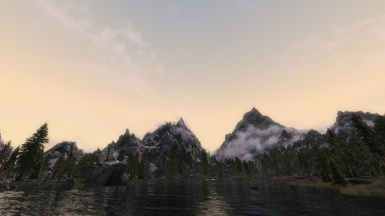 - reworked skyrims Cloudy weathers. They are now more hazy and cloudy. - Added a new option to the installer that makes the Rain sounds optional. - Changed the heavy Rain sound cus it was too compressed. 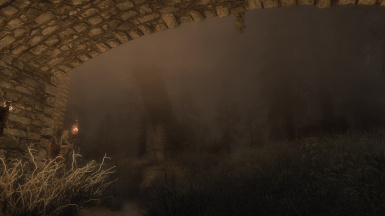 - added a option to the installer to revert back the Rain effects to be more vanilla like. 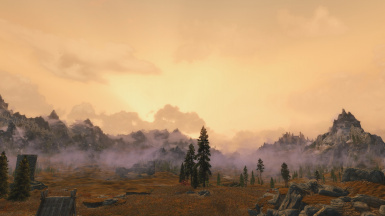 This will make Vivid Weathers Compatible with ENB rain again also. 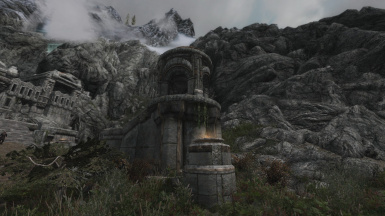 -Added Low resolution textures for all of you who cannot run skyrim with high texture settings. -reincluded the fixed minty lightning patch. 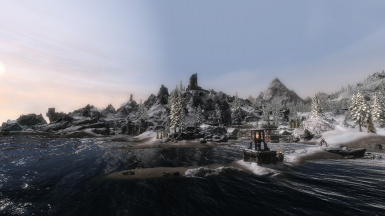 - Added Natural Lighting ENB coloring as option in the installer wich gives a much more smooth and natural picture. 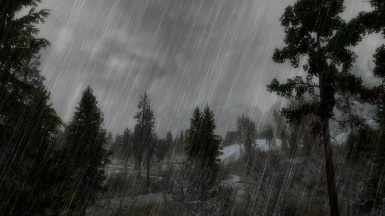 - added new rain sounds overwriting the skyrim ones (drizzle, heavy,light, medium). They should now sound more rainy. 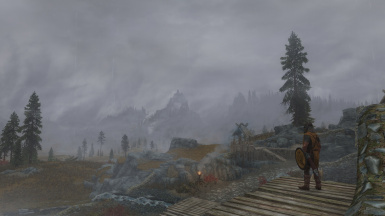 - updated all Vivid overcast weather cloud textures to be more detailed in the sky. 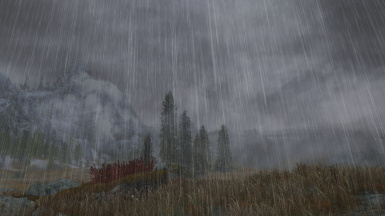 - Added new Rain effects and textures to the Rainy weathers for Strong and Heavy Rain. - Update MCM script version to 2. 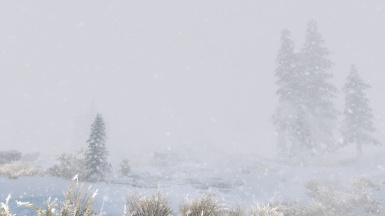 - Added info page with weathers and INI informations. - Added option to turn ISMods off completely. - Fixed Day/Night ISMods switch effects (no adjustment time when switching between presets or moving from exterior to interior). 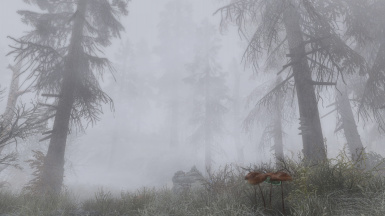 - Fixed frostfall compatibitliy for rainy weathers. 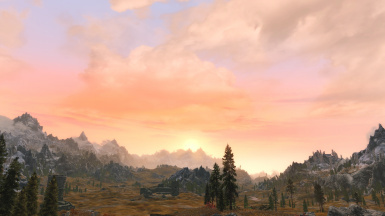 - Update climate sunrise/sunset hours for Karthspire and Sovngard (they're used if USLEEP is installed). - Removed obsolete refreshing on game load. - Added Bloom setting (4 level + default), exteriors only. 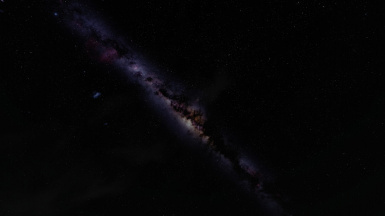 - Prevented night brightness setting to affect Bleackreach (independant system usually handled by lighting mod). Small update because those thunderweather changes i mentiond in 1.21 where not carryd over...no idea why -_- anyhow now the new "thunder only - Distant rain" weathers are included. - Updated some thunder only weathers with strong needle wind effects and turned down the harsh thunder soundeffect against distant thunder sounds - that way it should be more clear that those weathers are distant thunder weathers as there are distant rains visible on them. Its essential you create a clean save with this update! - Removed SMAA Antialiasing from the installer. It was just too buggy sadly! 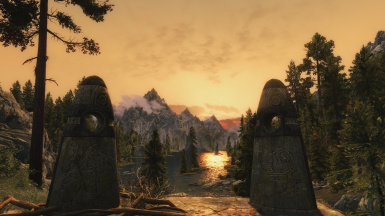 Applied previous corrections to the dragonborn addon. Fixed record issues on weather for sounds and precipitation references. Fixed the "default" option of the saturation configuration so it actually default to vanilla instead of low. Renamed "Medium" to "Vanilla" for Saturation preset. Enhanced translation possibilities for the MCM. ...and much more! 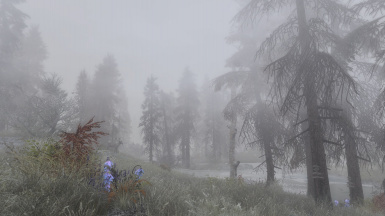 It includes all features of Real skyrim Snowflakes, Vivid Clouds & Fogs, COT, ESS and SS. 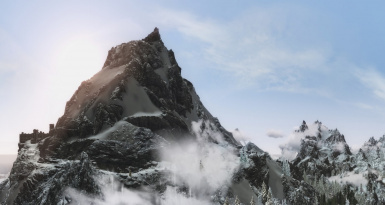 It is especially tweaked to look stunning without a ENB in use - so also weaker Rigs get immersive weathers. 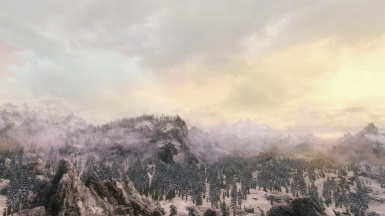 - Over 500+ Weathers - Clear, Cloudy, Blizzards, Stormsnows, Rainy ,Stormrain, Foggy and Thunder weathers... everything you need! 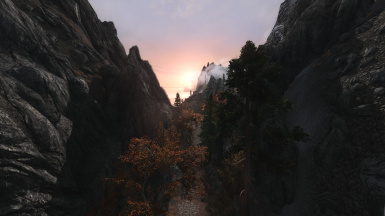 - Immersive sunrise and sunsets by selective cloud coloring. - Download and install with your prefered Mod Organiser and Choose the options you like. and Setup colors and brightness to your liking. 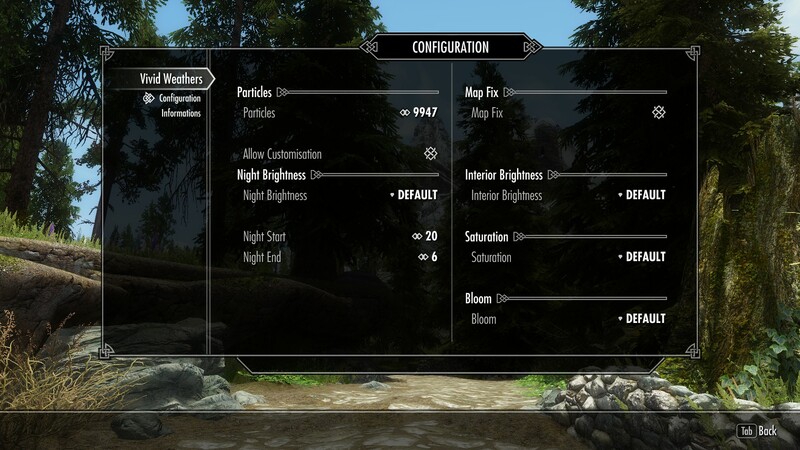 Brightness Settings will apply after a few seconds while being ingame. 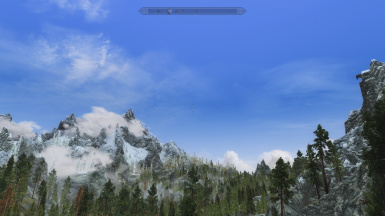 - Make sure you got atleast version 0.305 of the enb base files (d3d9.dll, enbhost.exe, enblocal.ini) from enbdev.com installed. 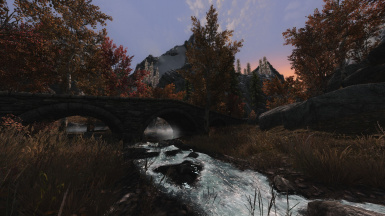 - Install the ENB files with your Favorite Mod Organiser. 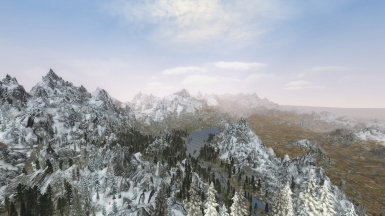 Mod Organizer: After installing right click on Vivid Weathers ENB Install in your modlist and "open in explorer". 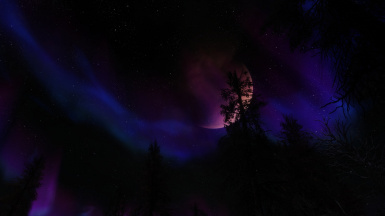 Go to the "Vivid Weathers ENB Install Files" folder and copy the content of it to your skyrim directory. 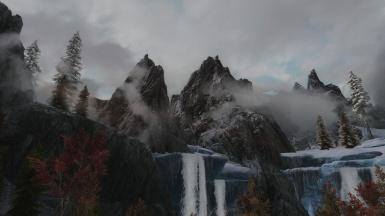 Also disable Antialiasing and Anisoptric Filtering in your Skyrim prefs that are accessible via the launcher. 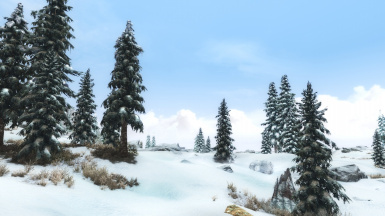 ELE Weathers, RLO weathers, ELFX weathers and everything else that overwrites skyrim or COT weathers. 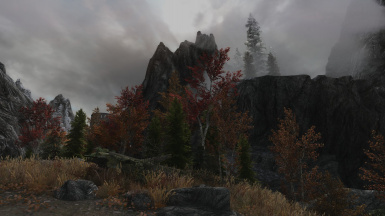 Make sure you load Vivid weathers after any Sound and weather changing mod. 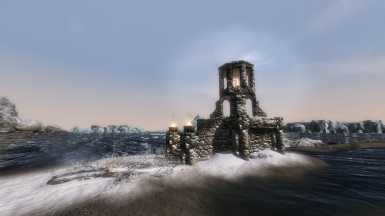 The load order of Lighting mods like ELE, ELFX depend on your preference becasue vivid weathers affect interiors also. 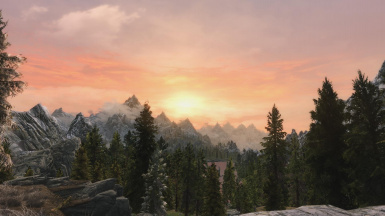 I recommend to load it afterwards to prevent any conflicts with the ability of Vivid weathers to change the interiors brightness. 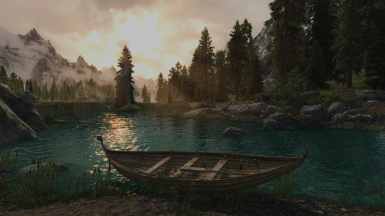 Realistic Water Two - Especially awsome with the enb Textures and Watercolor! Thanks for mator and his Automation Tools and great help in desperate times! Detailed Sound Credits are inside the archive. a thanks to all Betatesters! Also check out my other mods!